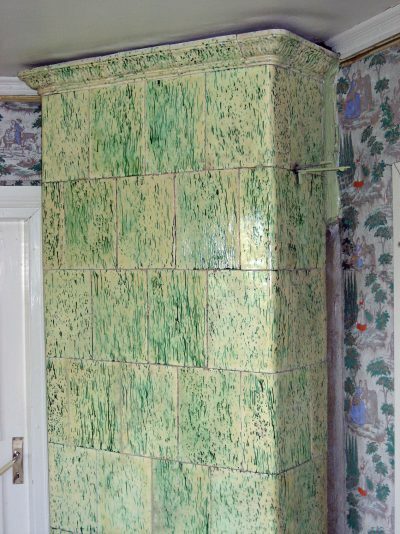 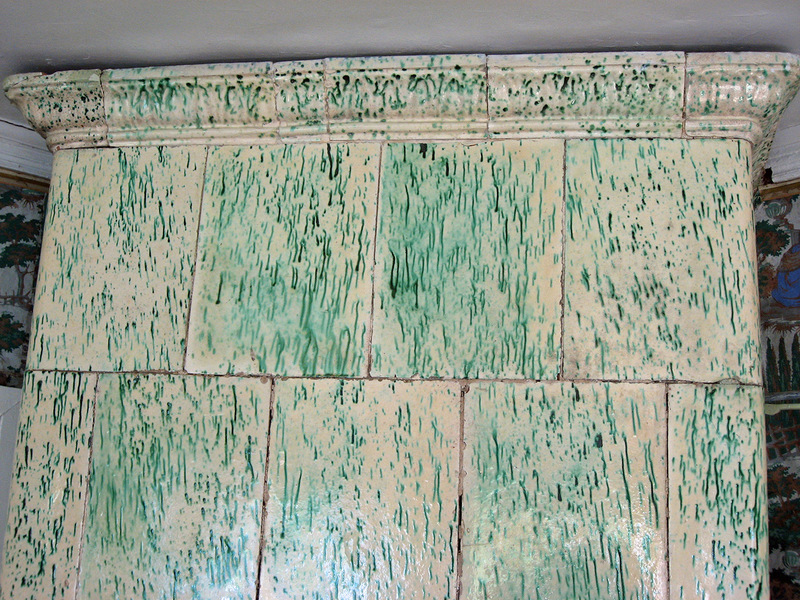 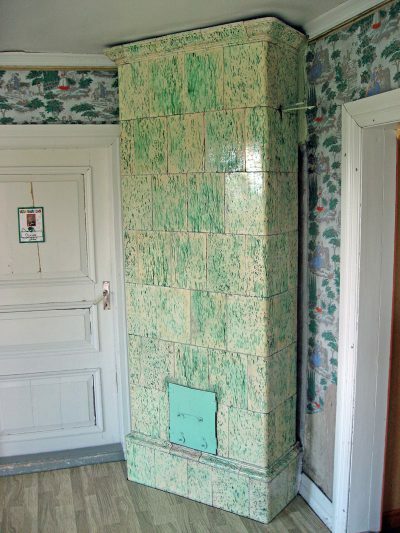 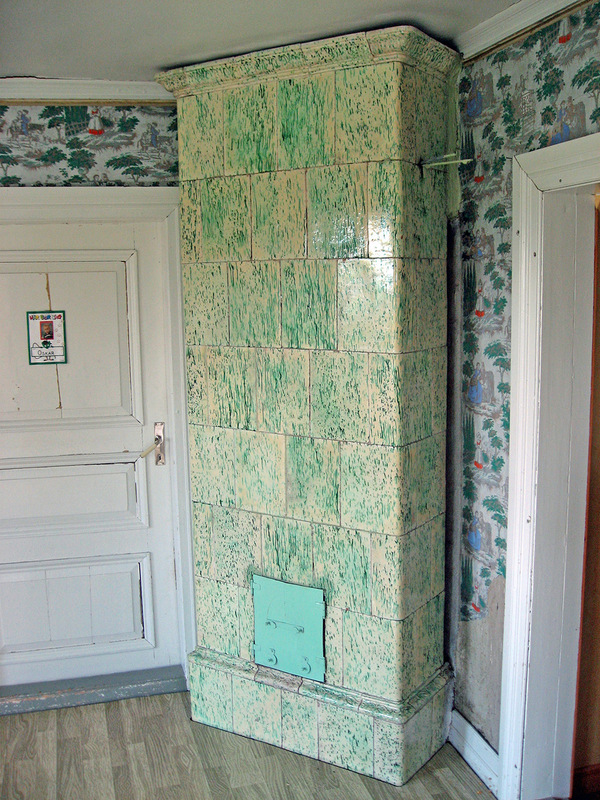 Old tiled stove with mottled green decorations, ca 1820. 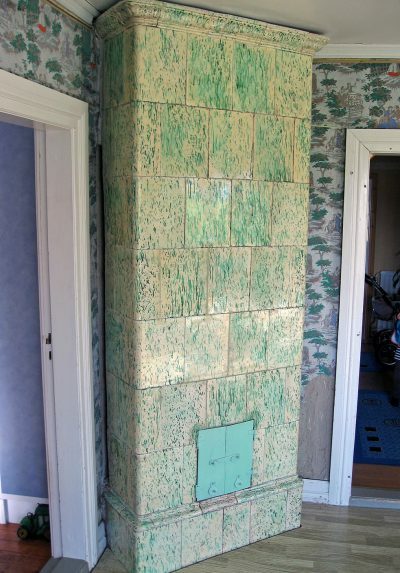 Height: 245 cm. Plinth: 36 x 92,5 cm.